For the first time in nearly seven years, St. Mary’s of the Assumption Basilica Cathedral (or duomo) in Cagli, Italy, celebrated mass on April 4, 2004. Nearly every Cagliese — from the mayor to the smallest child — participated in the celebratory Mass. “Many people were happy when the cathedral re-opened because even though they had to go to other churches, they're not the same as the cathedral," said Eros Santini, a local shop owner. "It is the home to many who are very religious in Cagli." 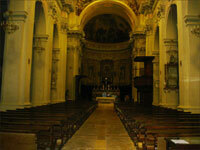 The basilica cathedral had been closed since September 27, 1997, when an earthquake rocked the central part of Italy. 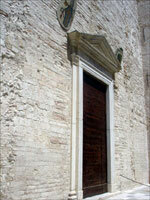 During the quake, the cathedral — located in the small medieval hillside town — suffered severe structural damage. While the basilica cathedral was closed, patrons were forced to attend Mass at nearby Catholic churches — nine of which are located in Cagli. Still, the massive basilica cathedral, which is located directly in the center of town and forms one corner of the popular town piazza, had been the main parish of Cagli. 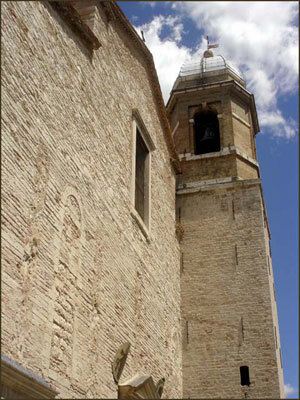 "Since the cathedral was the central church of Cagli and where the bishop resided, many Cagliese felt as though its church was missing," said Bartolucci. 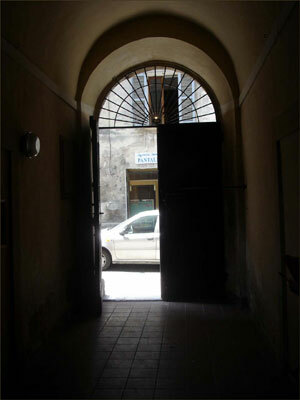 Although both the San Domenico and San Francesco churches are within very short walking distance for cathedral parishioners, the other churches were not the same. "Some people were upset that the cathedral had to close, but others were happy because no one was hurt in the earthquake," Santini said. Along with the patrons, the priests of the cathedral had to call a new church home. Father Bartolucci celebrated Mass across town at two different parishes. "I celebrated Mass at San Francesco church and later moved to San Domenico church," stated Bartolucci. For Bartolucci and parishioners, the phase of displacement continued for seven years — partly because the application and distribution of financial aid for the restoration took time to carry out. The basilica cathedral had not been the only church in central Italy to be damaged by the earthquake and was not the first to receive funding. Construction did not start until late 1998 and early 1999. The work done during these years was minor. More serious construction took place in 2001 and 2002. However, work was not done on the cathedral every day so it took until 2004 to re-open the cathedral. Still not every aspect of the duomo was returned to its original design. The façade of the cathedral remains unfinished, and many of the windows have been filled in with stone. "It is the home to many who are very religious in Cagli." Instead, the restoration focused mainly on the dome, in order to allow patrons to return to the cathedral. Now that the dome has been restored, the cathedral, measuring 54 meters long — longer than half a football field — still contains many of its original parts. 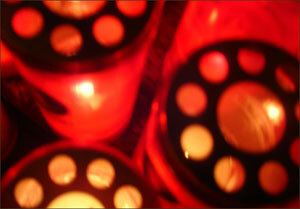 Begun in 1292, construction for the cathedral was halted due to political conflict. The cathedral remained incomplete until 1646 when construction recommenced. From the original structure, a gothic portal that was constructed in 1424, remains in the cathedral today. In addition, several of the basilica cathedral's features are remnants of restorations done following an earthquake that affected the building more than 200 years earlier. On June 3, 1781, an earthquake caused great destruction to the building. The dome, which had been located in the central part of the cathedral, collapsed to the ground. The collapsed dome brought down vaulting in the transept, the central nave and the presbytery. After much restoration St. Mary’s re-opened in 1792, but the original dome was not rebuilt. The bell tower that stands today — and rings every 15 minutes throughout town — was built during this restoration in 1790. The main altar — built out of marble in 1801 — is one of three located within the duomo. The basilica cathedral also features two marble altars that were constructed in the 17th and 18th centuries. In 1982 Pope John Paul II raised the cathedral's status to basilica. The basilica cathedral offered Mass daily until the earthquake. Since its re-opening, Bartolucci is back celebrating Mass there. "Many people in town were excited about the re-opening of the church because it was closed for several years," said Cagli resident Franco Mansi. To the delight of many Cagliese the much-anticipated re-opening of the cathedral was celebrated Palm Sunday in April 2004. Cagli's piazza was full of its residents ready to celebrate the grand re-opening of their cathedral. “There were posters all around town about the opening mass,” Mansi said. “The whole town was excited about the church’s re-opening. Everyone in town came out to participate in the Mass of celebration."